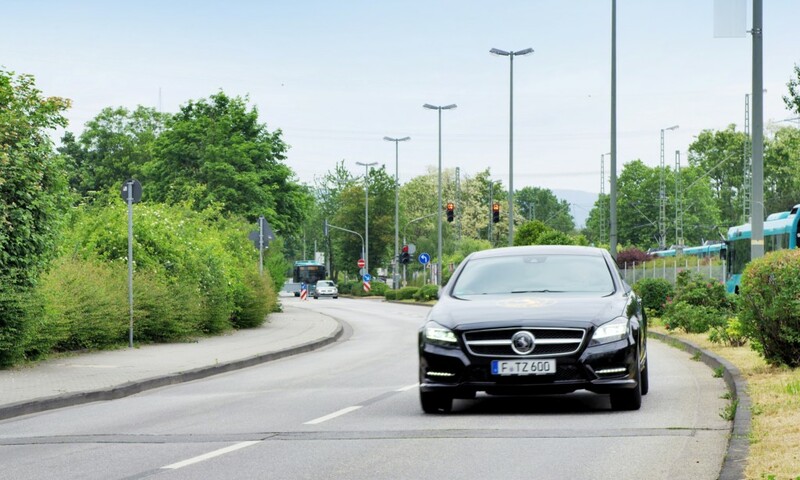 Continental and Valeo both have developed technology replacing side-view mirrors with a dashboard display, which would not only improve aerodynamics and safety but also impact collision repair. Continental described the concept in July, and it also promoted the idea during the recent Frankfurt Auto Show, Automotive News reported. The technology sounds plausible and safer, and the aerodynamics would be highly advantageous for automakers willing to try anything to hit the federal 2025 54.5 mpg threshold. Also, as Continental pointed out, there’s also the welcome feature of slightly less wind noise. Continental said it would remove the rear-view mirror as well by installing three cameras and displaying the rear and sides of the car on two organic LED screens on the dash. 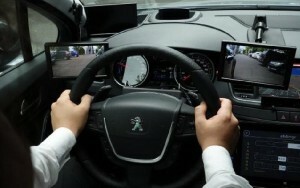 The technology uses “image stitching” to show the views from three mirrors on just two screens, according to Continental. 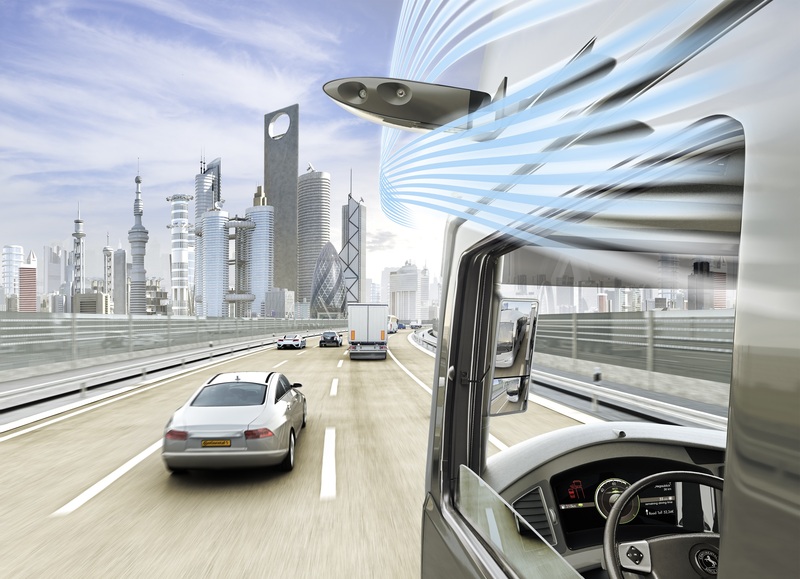 “In addition to giving the driver a wider field of vision, the system eliminates glare, provides traffic situation detection with driver assistance functions, is much less susceptible to dirt and dust, makes damaged wing mirrors a thing of the past and gives drivers better vision in poor light and rain,” Continental wrote in a news release. The cameras shown on Continental’s prototype are housed in two nubs on the car’s side and in the GPS antenna unit atop the car. The side cameras could still be a target in an impact — but a much smaller one. Perhaps most fortuitously, they’d be much harder to clip by some idiot in a parking lot. Cameras and sensors like this are expected to increase the cost of repairs — at least until the technology scales and becomes cheaper — and could require calibration following a crash even if undamaged. But fewer direct mirror strikes could lose some business with fewer mirror strikes. Mitchell industry relations Vice President Greg Horn wrote in an email that mirrors are affected in 26 percent of insurance claims logged by his estimating service. And that doesn’t even get into the potential for overall collision business to drop if increased driver awareness results in fewer crashes. It’s unclear how distracting nighttime glare from the dashboard screen and how well the cameras would perform in the dark. However, Continental said that the cameras’ indirect gaze at the road prevents them from being blinded by the sun or high beams, and their high dynamic range function can boost nighttime visibility and reduce the sun’s flare. Continental also said the “wing cameras” wouldn’t get as dirty as a typical mirror because of a lens coating rendering them less sensitive, though we’re dubious most drivers’ mirrors were getting that obscured anyway. The company says it’s also working on a self-cleaning rear-view camera. The company says its technology is enough to meet mirror Classes I and III in Europe. Read this interesting Wired analysis for why mirrors could be a tougher sell in the U.S.
Continental says the technology could be approved as soon as 2016, citing United Nations Economic Commission for Europe Regulation 46, and be on cars in Europe by 2018. Continental also points out that an automaker could piggyback on the side-view images from a camera to deliver more information to a driver like “vehicles, speeds and distances.” Quite frankly, it doesn’t seem implausable that somebody could incorporate this sort of digital image into partial-autonomy driver assistance, such as the car preventing you from merging into an occupied lane, or helping a full-on self-driving car keep tabs on the road. It also mentioned its similar ProViuMirror technology as a means of replacing the Class II and IV mirrors in larger vehicles, such as trucks or RVs. If you’ve ever driven a U-Haul with that “did I read the mirror right?” fear every time you changed lanes, you’ll understand the appeal. Continental also said eliminating the large rectangular mirrors could deliver a better frontal view and improve the gas mileage on such guzzlers.